I’m not even particularly passionate about cooking but Ratatouille is very much ‘up there’ as one of the best animated movies. Considering that it comes from the same family that created the Toy Story films, this should be no surprise. 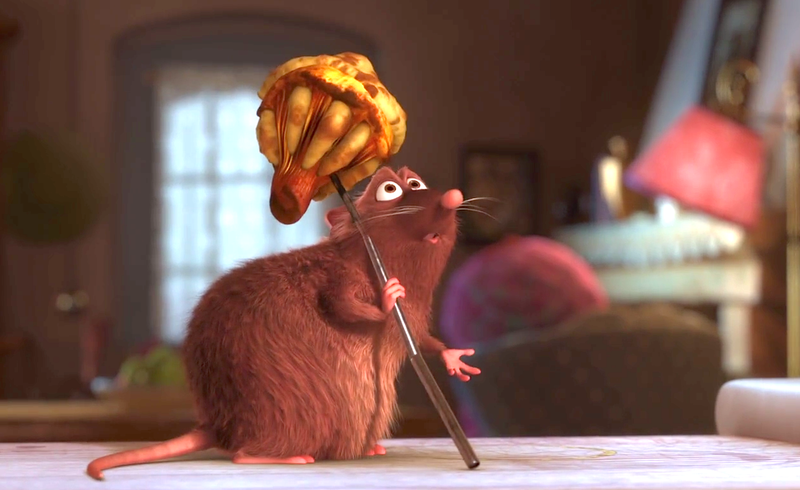 Who can resist the beautiful tale of a rat with an all-consuming passion for cooking? Now, I’m not suddenly saying that I like rats. I find the real life furry, long tailed beasts absolutely terrifying. But the magic of animation means that the most seemingly hideous beasts can be made to look more beautiful than anyone could’ve ever imagined. As you can see from these pictures, there’s cuteness, definitely plenty of cuteness. Cuteness mixed in with comedy and the occasional action sequence, making for a super animated fantasy adventure. 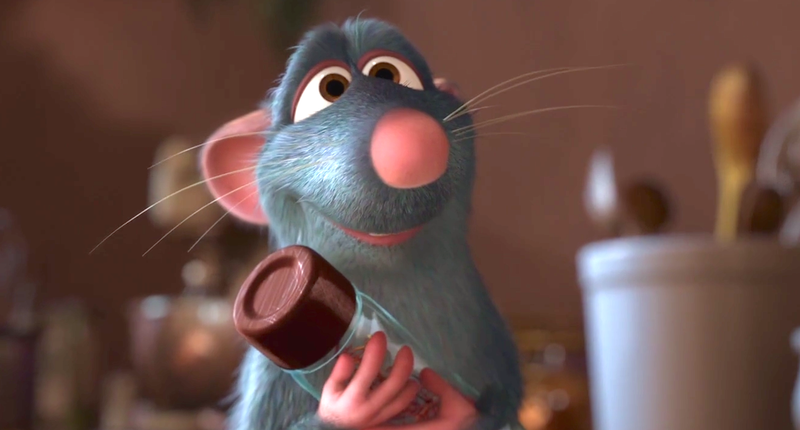 Ratatouille is an inspirational tale. The sort with the types of positive, encouraging and lifting messages I’m sure I’ll never tire of hearing.